Jason Gay is the sports columnist for The Wall Street Journal. Seriously. I didn’t know that The Wall Street Journal covered sports. I originally imagined that it only covers polo, but no, Jason Gay covers a variety of sports, after previously writing about celebrities and common folk. 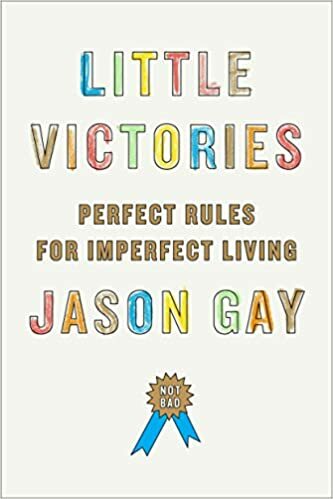 His recently released book Little Victories: Perfect Rules for Imperfect Living chronicles the small but validating successes of everyday life. Tune in to hear what constitutes a Little Victory, and why this doesn’t include sit ups. He’ll be in town with the Thurber House on Thursday, November 19. Follow him on Twitter and at his website. This entry was posted in Events to attend, Original Craft Productions, Thurber House author and tagged columnist, Jason Gay, Little Victories, sports, Wall Street Journal. Bookmark the permalink.